Just a quick post today. ‘Tis the season to be cranky and busy. Put it this way…I typed the word quick in the previous sentence 4 times as “quack” before I got it right. I’m thinking that says something of my state of mind, at the very least. 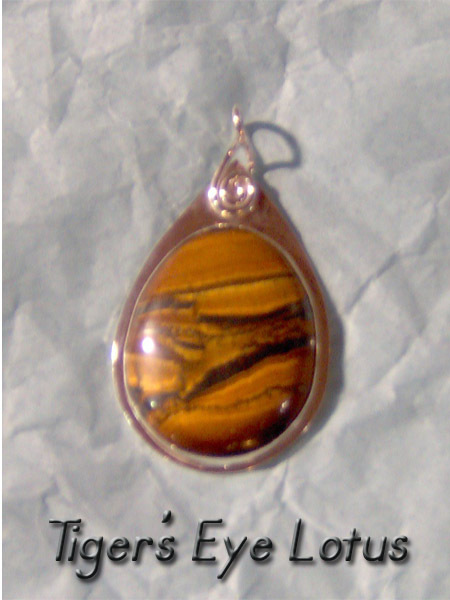 I finished this stunning Tiger’s Eye pendant. It’s the one with the bands of Hematite running through it. 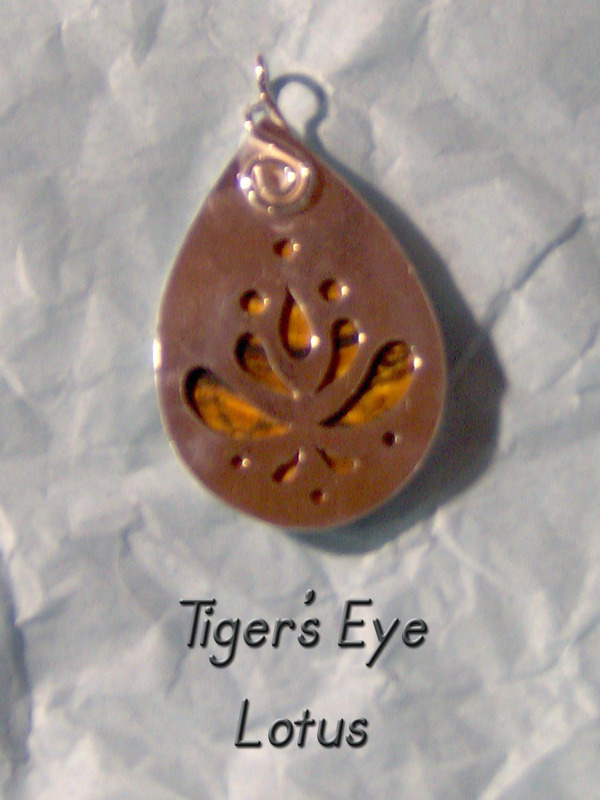 I am especially happy with how the golden Tiger’s Eye sets off this Lotus cut-out. This piece is going into the store in the morning, along with 4 other new pieces. Now I’m off to try and finish some of my own gifts for the holidays. Happy Solstice and Joyous Yule everyone! Onwards and Upwards!! You can’t keep a good woman down!! Tally-ho, Pip Pip and all that rot. These are the stones for the next batch of jewelry. Spiffy, huh? That is a massive Rose Quartz and it’s got tons of rose colour. Sometimes they can be pale, but not this baby….she’s plenty rosie. The two Labradorites may end up in one piece or in two. I haven’t decided yet but it’s sure to be quite lovely as Labradorite has that gorgeous glow to it. As for the Tiger’s Eye, it may not make it to the shelf. It’s a really unique stone; those dark bands you see are actually what appear to be Hematite…..deeply glossy and shiny Hematite. I’m not sure I will be able to let go of it. 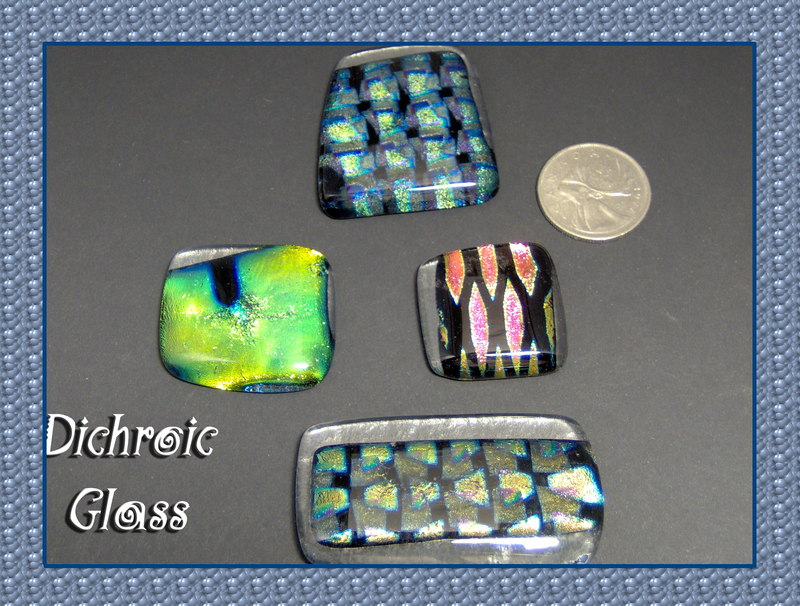 These are pieces of Dichroic Glass that I’ve had forever. I’m still not 100% sure what direction I’m going to take these, but it’s sure to be a wild ride. 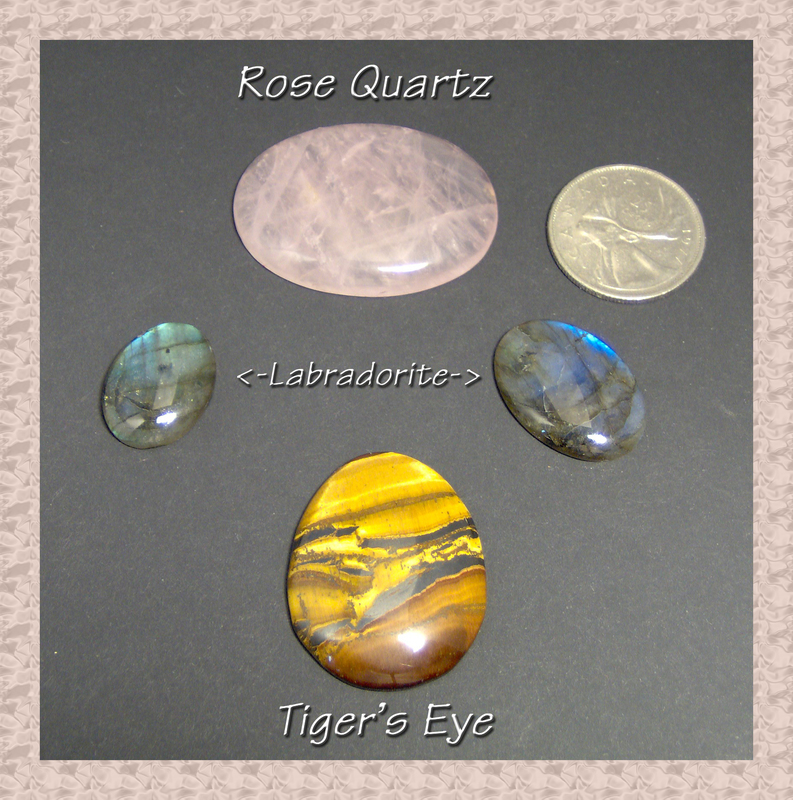 I love the contrast between these pieces and natural cabochons. Someday I’m going to make my own glass cabs. Glass is, after all, just one more thing I can melt, right? So here we go…another jewelry blitz. Damn the Torpedoes!! Full Steam Ahead!! !